2013 has been an exciting year for men’s wedding band trends. With rose gold being a popular choice for engagement rings, many men are in turn incorporating rose gold into their own wedding bands. We’ve also seen a rise in bold styles, such as rings with black or white diamonds. Below are our favorite trends for this year of men’s wedding bands. Handmade wedding bands feature the marks of a true, expert jeweler. Choose between braided, hammered, and various patterns. 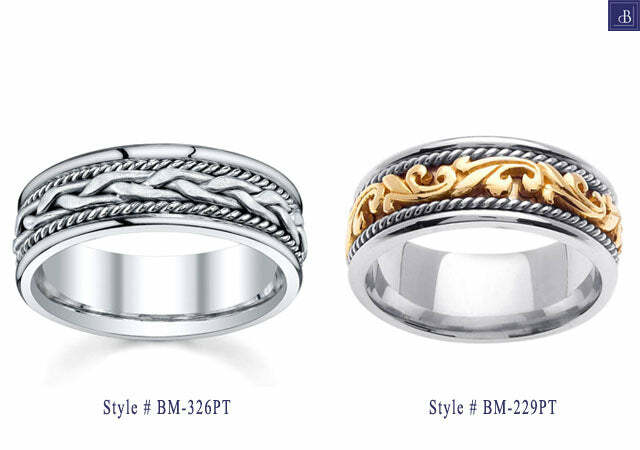 These rings are a great option for the man that wants a true, one-of-a-kind wedding band. For the man that loves a little bit of sparkle for himself, we have both black and white diamond wedding bands for men. 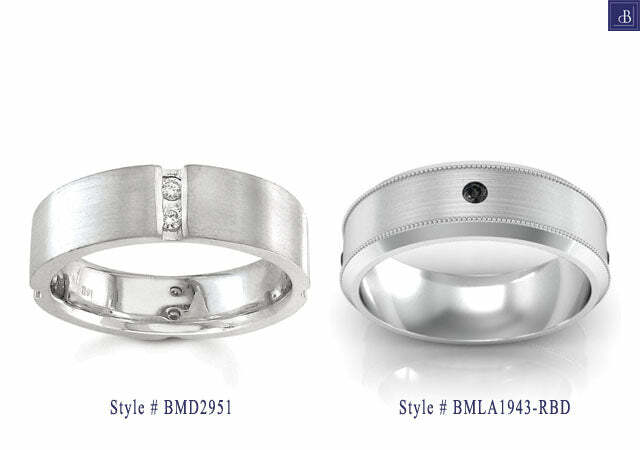 Available with round or princess cut diamonds, men love the bold look of each style. Plain wedding bands have been and will continue to be the most popular styles for men. Today, more men are purchasing rings made from platinum, palladium, and even rose gold. 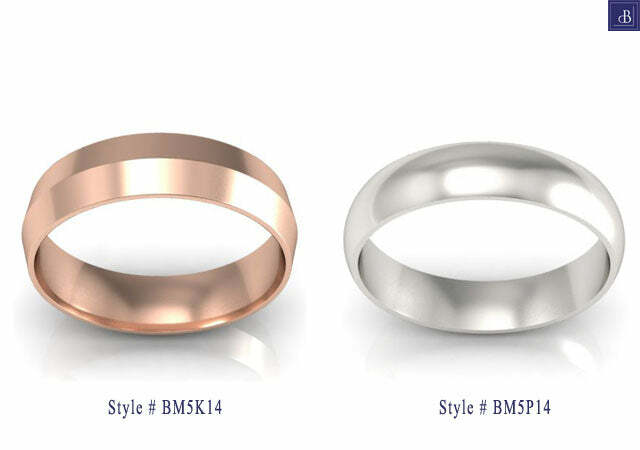 Not only can you select your desired metal type, you can also customize the type of finish that you would like on the ring–high polished, brushed, or hammered. We also specialize in creating custom rings of any style. If you would like to modify any of our ring styles or if you are interested in creating a truly unique piece from your own inspiration, please contact deBebians to speak to one of our jewelry designers.